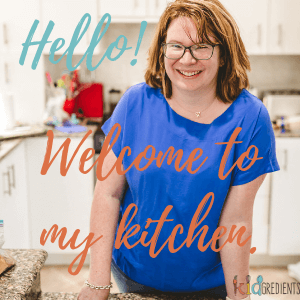 If you’re looking for budget week day meals, I’ve got you covered! 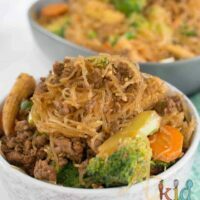 These beef mince and veggie rice noodles are quick to make, use fresh veggies and mince and are super kid friendly. Not only that, but the pantry ingredients you buy to make them can be used for so many other things, so you’re not wasting money. This is the first in a series of budget midweek meals I’m putting together. Why? 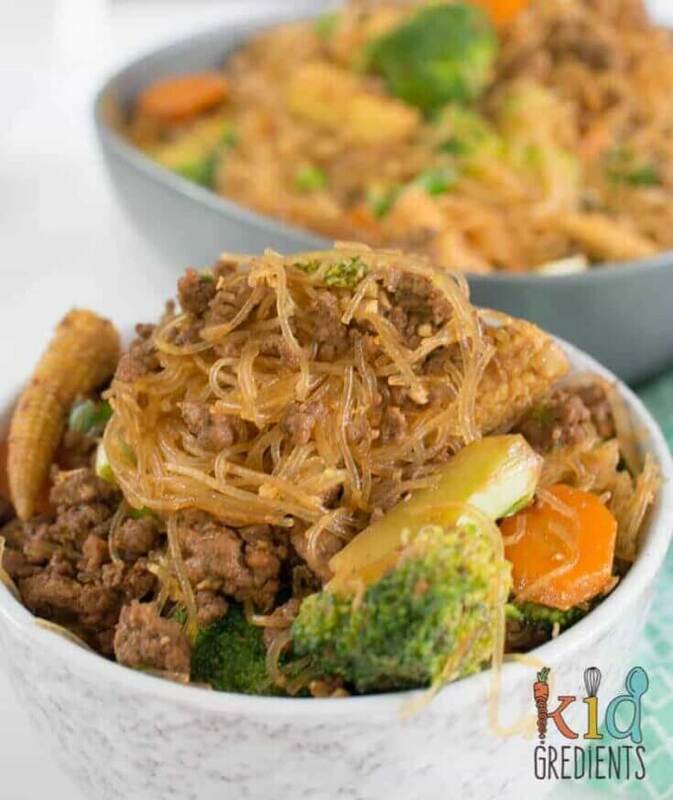 Because budget friendly meals are one of the most requested items here on kidgredients and I want to keep you all happy. So over the coming weeks expect to see some yummy, fresh and tasty budget friendly meals that your family will love! Eating on a budget doesn’t have to mean eating crap. In fact, by buying what’s in season and buying in bulk (I got 3kgs of beef mince at Costco) you are able to get more for your money. Which means you can eat well on a budget. A few weeks back when broccoli was $6.99 a kg, I would never have dreamed of making this dish and calling it budget friendly. If that’s the case near you right now (and it’s been one hell of a summer, with drought, fire, and now a lot of rain), then there is no harm in buying frozen broccoli florets. For that matter, when stocks are low or miserable…yellow broccoli florets…I’m talking to you…then frzoen broccoli is just as good. I’m not going to pretend these noodles are influenced by any asian cuisine, in fact they are kind of just a kid friendly food, that I know everyone will eat when I make them. If you want to make these gluten free, swap the soy for tamari. 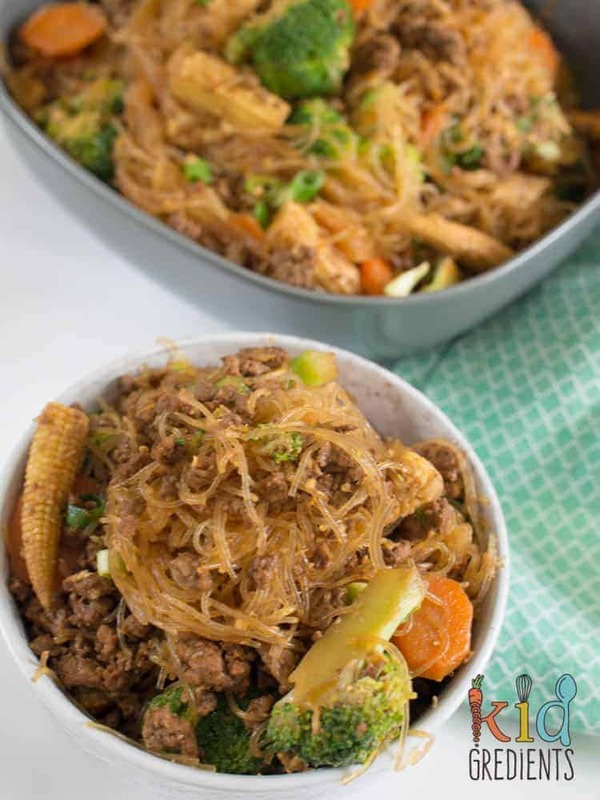 Yummy beef mince and veggie rice noodles the whole family will love! 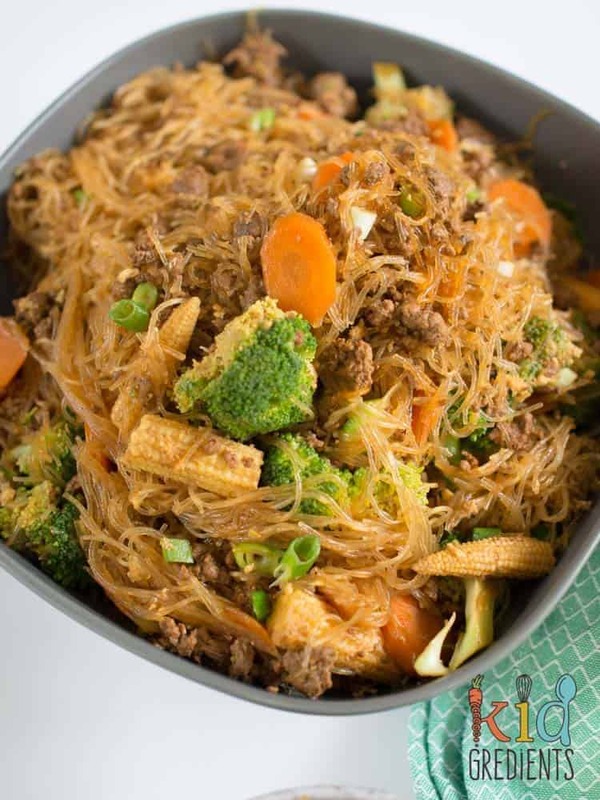 Soak the rice noodles (vermicelli) in cold water for at least 1/2 hour before you start the rest of the recipe. Heat 1.5 tbsps of the peanut oil in a wok or large frypan over medium/ high heat. Add the 5 spice powder to the mince and massage through. Fry the mince until browned. Add the broccoli, carrots and corn. Cook for 5 minutes more. Add the garlic, ginger and 2 tbsps of soy sauce, stir quickly to combine and cook for 1 minute. Transfer this mixture to a large bowl. Add the remaining peanut oil to the wok, drain the noodles and add to one side of the wok. On the other side, pour in the whisked eggs. Allow the eggs to cook for 1 minute, then quickly stir through the noodles. Add the sesame oil and the remaining soy to the noodles and add the cooked beef and veggie mix. Cook for 4 minutes more, stirring to make sure it doesn't all stick. Add the spring onions and serve. Best eaten on the day but also awesome for lunch the next day.